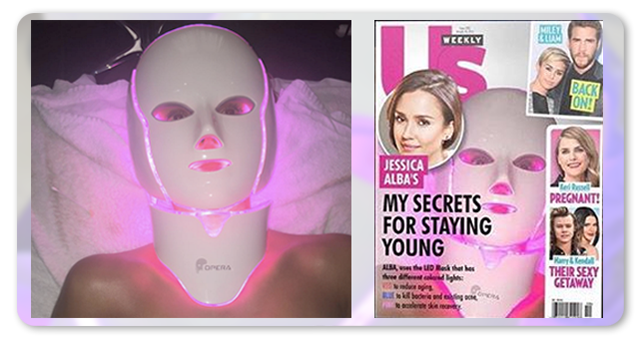 Indulge in a skin rejuvenation treatment through Séchoir's LED Face Mask. This spa service is unique in how we incorporate the use of galvanic currents to treat wrinkles, tighten skin, and work towards reducing skin spots, sun damage, and acne scars. What is a LED Face Mask Treatment? By utilizing a LED Galvanic Regeneration facial mask, three wavelengths are able to provide a multitude of skin rejuvenation treatments to the face and neck. This face mask also incorporates the use of galvanic currents to further enhance results. You will have the option to include oxygen therapy and nutrient filled hydrogel masks. LED Face Mask Treatments are used for wrinkle reduction, skin tightening, skin spots, sun damage, and treating acne. They can also be used for improving blood circulation and to speed wound healing for post care after plastic surgeries or fillers.